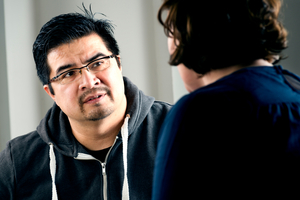 What Types of Psychotherapy Are Helpful for Anxiety and Depression? Just as no two people are affected the exact same way by depression and anxiety, there is no “one size fits all” treatment. What works for one person might not work for another. The best way to treat depression or anxiety is to become as informed as possible about the treatment options, and then tailor them to meet your needs. In many cases, it is helpful to work with a professional to determine the best fit. Therapy may help you develop an awareness of what you feel, why you feel that way, what your triggers are, and how you might change your reaction to them. Some types of therapy teach practical techniques to reframe negative thinking and change behaviors. There are many types of therapy available. Three of the more traditional methods used in depression include cognitive behavioral therapy, interpersonal therapy, and psychodynamic therapy. Often, a blended approach is used. Originally developed as a form of psychotherapy for a single clinician and a single patient, the program has since been adapted to work in several different kinds of settings, including inpatient and outpatient groups. Dr. Barbara Fredrickson, a leading scholar in the field of positive psychology, explains simple ways that you can enhance positive emotions in your life.